Andrew Gowers' review of intellectual property law, originally commissioned by the Chancellor of the Exchequer in his 2005 pre-budget report, has finally been published. The Gowers Review states "In the modern world, knowledge capital, more than physical capital, drives the UK economy. Against the backdrop of the increasing importance of ideas, IP rights which protect their value are more vital than ever". The majority of value in large companies is accounted for by intangible assets: goodwill, reputation and knowledge capital. The review undertakes a broad and sweeping analysis of intellectual property rights in the UK, with the aim of ensuring that the UK has an IP system that meets the needs of all of its users and is fit for the digital age. The review also sets out a range of "pragmatic recommendations", which can be grouped into three main themes: stronger enforcement of rights, (mainly focussing on counterfeit and pirate goods); lower costs for business; and balanced and flexible rights (to keep up with the challenges of the digital age). Although the full report is very long, it is summarised into a convenient executive summary followed by 54 recommendations. To access the report click Here. A key theme in the 146-page report is the need to improve the intellectual property rights system for businesses so that relevant information and advice is more accessible, and obtaining and enforcing IP rights is easier. The review also makes a number of specific recommendations in relation to particular rights, such as matching penalties for online and physical copyright infringement and clarifying the research exception to patent infringement to facilitate experimentation, innovation and education. The press was particularly interested in the recommendation that the European Commission should retain the length of protection on sound recordings and performers' rights at 50 years. For example, please click Here. The Gowers Review includes a large amount of background information on the nature and role of intellectual property in business and the challenges presented by the global economy and the digital age. Gowers questions whether the IP system in the UK is "fit for purpose". He answers the question with a qualified "yes", proposing specific reform rather than radical overhaul. The report evaluated the effectiveness of current IP rights, namely patents, copyrights, trade marks and designs. While Gowers makes the general observation that the system as a whole is broadly working in a satisfactory manner, Gowers highlighted the quality of enforcement methods in relation to IP rights as 'low'. For example, costs for enforcing patents, especially for small firms, can be prohibitive, and in relation to copyright, piracy is now a significant drain on the UK economy. Similarly there are large problems with counterfeiting in many areas of business, Police and Trading Standards authorities have many competing priorities and litigation is costly. As well as recommending the introduction of an accelerated grant process for patents there is also a recommendation for fast-track trade mark applications. Anything that makes establishing IP rights easier can only be good news, but the recommendations beg the question as to who should pay for faster processes. As for enforcement, the report recommends increasing the emphasis on mediation in disputes and that the Department of Constitutional Affairs reviews how the claims process can be made more timely, proportionate, and cost-effective. Ironically, on the day the Gowers Review was published, the Court of Appeal ruled on a point of law in relation to costs in a case which demonstrates the dangers when litigation gets out of control and why reform is needed in some respects. In the case of Northstar, Seaquest and Ultraframe v Fielding, the original infringement trial in the High Court lasted for over 90 days, with Mr Justice Lewison's judgment stretching to almost 500 pages. However, in contrast, the recent case of Bouverie No.1 Limited v De Vere Hotels & Leisure Ltd in which CMS Cameron McKenna LLP represented the claimants, demonstrated that it was possible to bring a complex branding dispute to trial in six weeks under the expedited procedure. Enforcement powers also feature heavily in the report, the Review refers to increased involvement with the Police. It is unclear whether this is looking to increase funding to hard-pressed Trading Standards Officers with limited resources. Extending Trading Standards’ powers to that of enforcement of copyright is welcomed but will be of no benefit unless funds are allocated to this. More stringent measures relating to counterfeiting will be universally welcomed in particular in relation to software and music – except by the counterfeiters. The pharmaceutical industry and innovative businesses will benefit from proposed amendments to the Patents Act to clarify the research exception in relation to experimentation, innovation and education. All patent owners will benefit from steps progressing towards a Community Patent, although comments recently made by Charlie McCreevy, the European Union Internal Market Commissioner, are not encouraging. The steps outlined in the report include interim support for the EPLA and the London Agreement relating to translation and a pilot of Beth Noveck’s Community Patent Review to explore cooperative examination of patent applications connecting experts to patent examiners. The report also recommends greater use of the ‘observations’ procedure at the Patents Office. Other significant recommendations for the pharmaceutical industry include encouraging ratification of TRIPS amendments to allow access to medicines in the developing world, retaining current policies in relation to gene patenting, business method and software patenting and a proposal to formulate model IP licences to increase "networked innovation". Copyright law should also be reformed to meet the needs of the "digital age"; the report recommends that private copying (as oppose to distributing) and format shifting should be permitted and recommends the introduction of a new defence of parody or pastiche to copyright infringement. Other recommendations affecting copyright are a relaxation of the rules as regards "derivative" or "transformative works", such as music that samples earlier works, providing for an effective damages regime and the suggestion that a voluntary register for copyright should be established. However, to the disappointment of long-lived musicians, the report recommends that the European Commission should retain the length of protection of sound recordings and performers' rights at 50 years. Brand owners will be pleased with recommendations that the current situation regarding unfair competition in cases relating to IP should lead to a government consultation if monitoring of these is found to be ineffective. Brand owners have long sought changes to bring the UK more in line with many European countries in the realms of look-alike products. This ties in with the further recommendation to ensure that competition and IP policy together foster competitive and innovative markets for the benefit of consumers. The Gowers Review makes several recommendations to improve the accessibility and ease of use of IP law. For example, the UK Patent Office, which Mr Gowers believes should be renamed the UK Intellectual Property Office, should provide comprehensive information on how to register and use IP rights for firms registering with Companies House, and ensure that the information it provides reaches businesses through greater collaboration with Business Link offices. 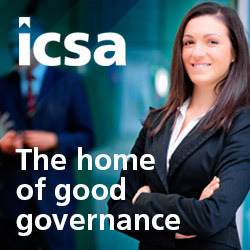 Looking forward, the Gowers Review recommends the establishment of a new Strategic Advisory Board for IP Policy and for reasons of governance, it recommends clear divisions of responsibility between delivery and policy directorates within the Patent Office, and similarly an internal separation of responsibility between the granting of rights and the settling of disputes over ownership or validity. The Gowers Review has rightly identified intellectual property as crucial to the success of the UK economy. The report is likely to prompt a series of changes to the IP landscape that should improve the accessibility, competitiveness, flexibility and effectiveness of IP rights. The original publication date for this article was 11/12/2006.